New content has arrived in ELOA. Beginning today (December 15) an all new lair dungeon is available for players to try out. The dungeon is divided into two smaller dungeons: “Hall of Demolition” and “Sanctum of Ancient Crystal”. Both are designed for level 50 parties made up of 8 players. Players can look forward to a variety of rewards from completing these dungeons, including unique new weapons, accessories, and more. 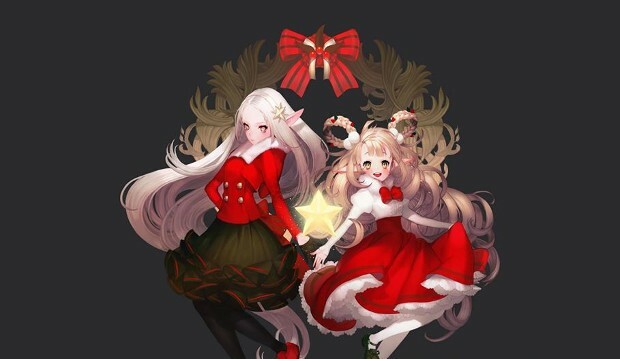 In addition, there is new Christmas themed content in time for the holiday season. The event kicks off tomorrow and runs through Christmas day — during which time you’ll be able to earn daily rewards ranging from Rudolph’s head to a Christmas avatar costume. Full details on the event are available on the ELOA site.